The Bole Frontier Network, a community based political organisation in Yola South local government area of Adamawa has told Hon. Garba Lawal, Member representing Yola North, Yola South and Girei in the House of Representative to drop his re-election bid in 2019. Mr. Yunusa Musa, leader of the group issued the advice on Monday while briefing newsmen in Yola. Musa said that the call became necessary in order to inform those occupying elective positions of abysmal neglect to the Bole community especially in the area of basic infrastructure and social amenities. The leader of the group accused the member of being bias in the allocation of constituency development projects. Musa said that Hon. 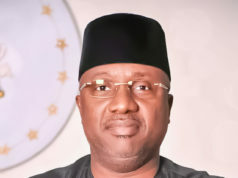 Abubakar Lawal turn deaf to their plea of getting electricity transformer for the community, “since the member has failed to recognize the Bole community in time like this, we have using this medium to inform him to drop in second term ambition or be voted out in 2019”. He however, commended Hon. Abdurauf Modibbo Girei for the donation of electric transformer to Yolde Pate and Girei community, meanwhile the group pleaded with Hon. Abdurauf Modibbo to quickly hasten the process of Bole’s transformer donation before 2019. “This Hon. Abdurauf has not been in this house of Representative, but see the wonders he is performing, if we vote him in 2019, he will change the three constituency. “It is glaring that we have being neglected in the allocation of both social amenities and basic infrastructure. “In this 21 century, Bole is a community that does not have electricity, no road no hospital and water. 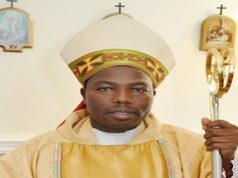 “We are living at the mercy of God, especially whenever there is rainy season. “Due to these, we are telling our rep member not to seek re-election because of his failure.’ Musa said. When contacted, Hon. 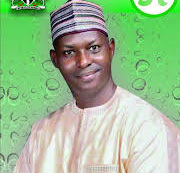 Garba Lawal said that he sank boreholes in the area of Bole and Yode pate. He said that his job is not to execute projects but to make laws. He lambasted the people of Bole for not being truthful.